French President Emmanuel Macron, who traveled to Kenya with a business delegation, saw the signing of more than EUR 2 billion ($ 2.26 billion) in infrastructure contracts. 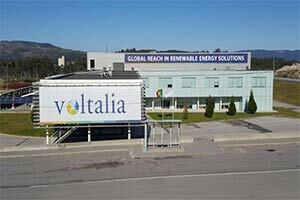 Renewables company Voltalia signed a contract of EUR 70 million for two solar power plants, while an Airbus - led consortium has won a contract of EUR 200 million for coastal and maritime monitoring. The deals also included a EUR 1.6 billion 30-year concession for a consortium led by Vinci to operate a highway between Nairobi Summit and Mau. President Emmanuel Macron, who seeks to boost trade in the region of East Africa, signed the contracts during his four-day trip to East Africa. Kenya is East Africa's most advanced economy, with a liberal business environment and a entrepreneurial culture but only 1.4% of French companies make up for the market share. The amount of French exports to Kenya in 2017 was $ 170 million or $ 225.80 million, while the number one trading partner in Kenya, China, exported $ 3.8 trillion worth of goods.